This track is for those who wish to create their own robots or devices with electronic prototyping platform instead of Mindstorms kit. You will learn to work with Arduino. 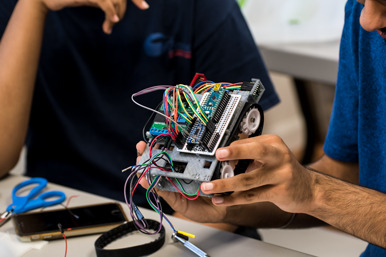 Students will be engaged in building electronics projects and robots in C++ programming environment. 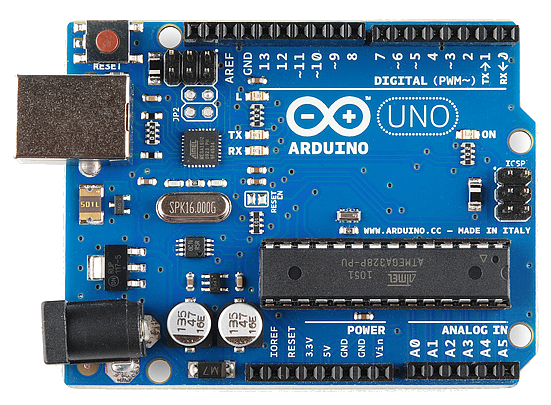 Arduino is one of the most commonly used controllers in low-cost electronic prototyping in college as well as in commercial world. Must possess proficiency in Level B of Algorithms in C/C++, or a score 5 from Advanced Placement Computer Science A. Have demonstrated to be a higher order thinker in our roboclub. If you are a new member to Storming Robots, 2 recommendations from Math/Science teachers or Robotics Competition coach are required. Please provide your recommenders the link to this online recommendation form. They will just need to submit it online. No physical form submission will be accepted. Highly proficient in Algebra I and Middle School Geometry IS A MUST. Cost:	Please go here to view the cost table. If you a new member to Storming Robots, please Click here to submit online registration. Another Arduino-based platform which is equipped with multiple VL6180X Time of Flight Distance Ranging Sensors from Adafruit, as well as self-created light array module with simple photocells. 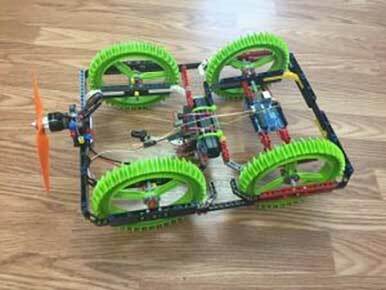 There are many fun electronics Ardunio-based projects created by past robotics club students. Click here to view the students who have documented their own work.